Requirements: The Remote Data Collector requires Java to run on Windows Server. If you need to install Java on Windows, please get the latest runtime package from the Java Download site. If you encounter any problems you can troubleshoot your remote data collector setup. 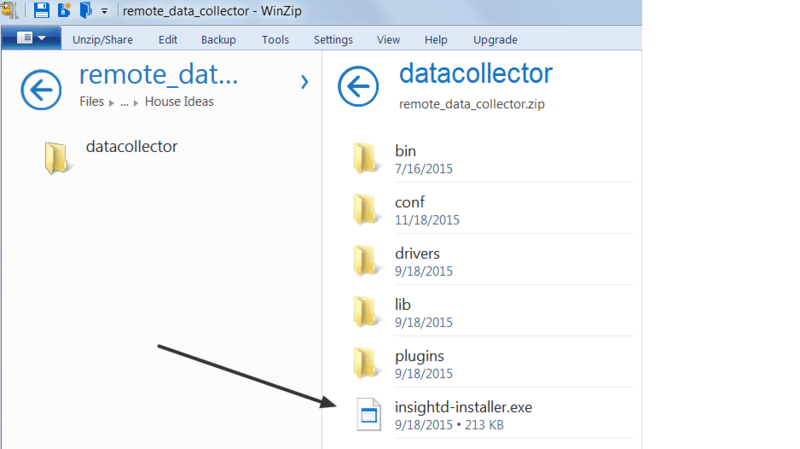 On the Windows Server that you plan to install on, open a web browser and point it to your metric insights server. 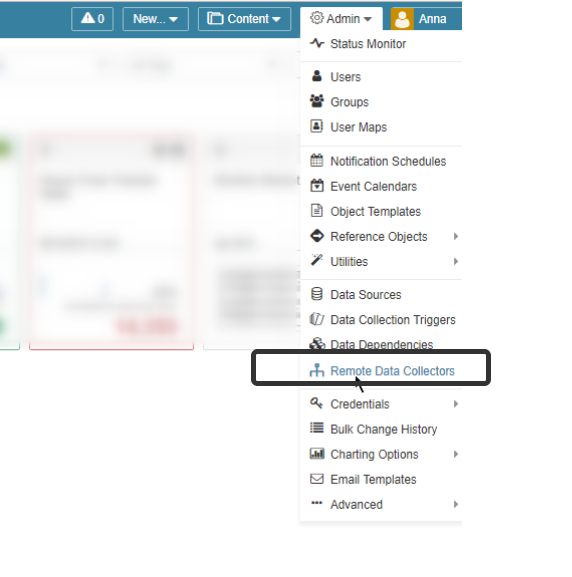 Log in as admin, and go to Admin -> Remote Data Collectors. When downloading the zip file, you might get an error message that warns you that the insightd zip isn't normally downloaded. Tell the browser that you're sure you want the zip file. We promise it's not dangerous. If you notice that the service hasn't started for some reason, check the Event Viewer for more information. 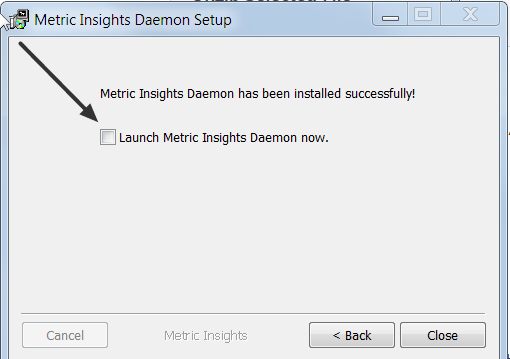 All event logs will be filed under Event Viewer (Local) > Applications and Services Logs > Metric Insights Daemon. 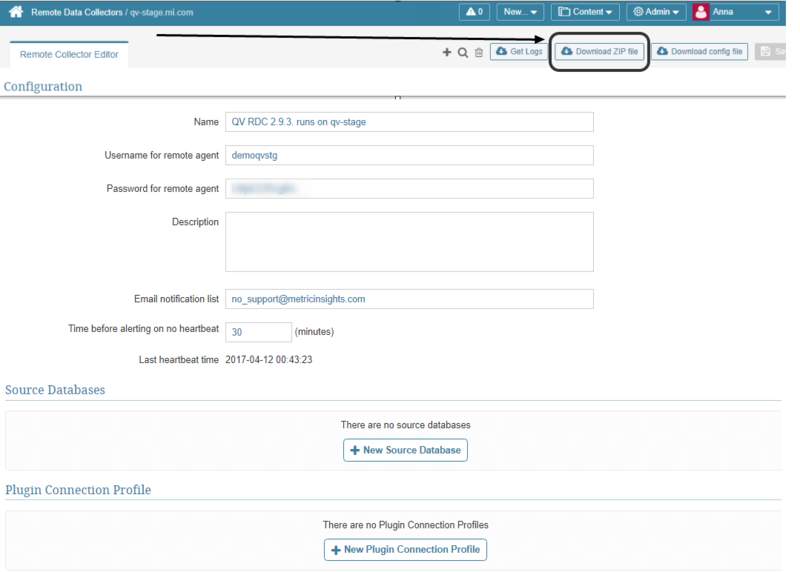 You can also reference more on how to troubleshoot your remote data collector setup.